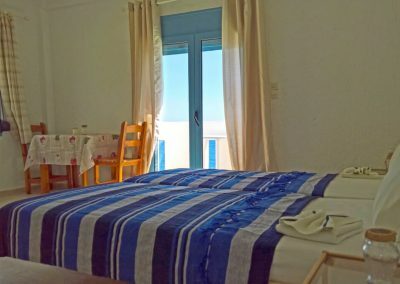 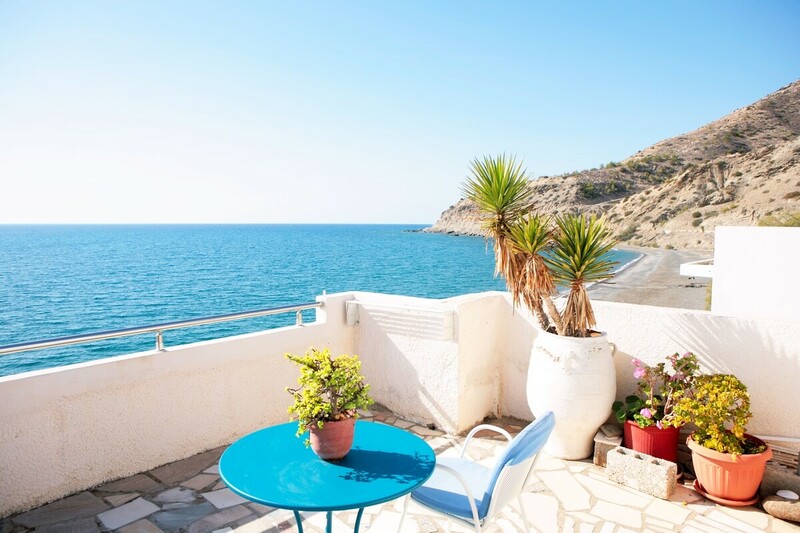 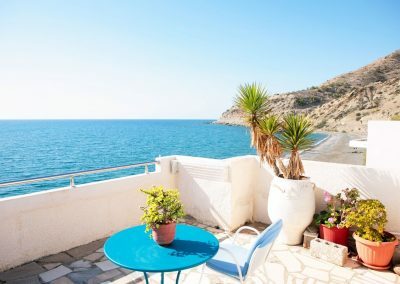 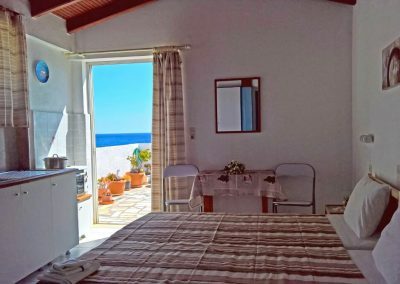 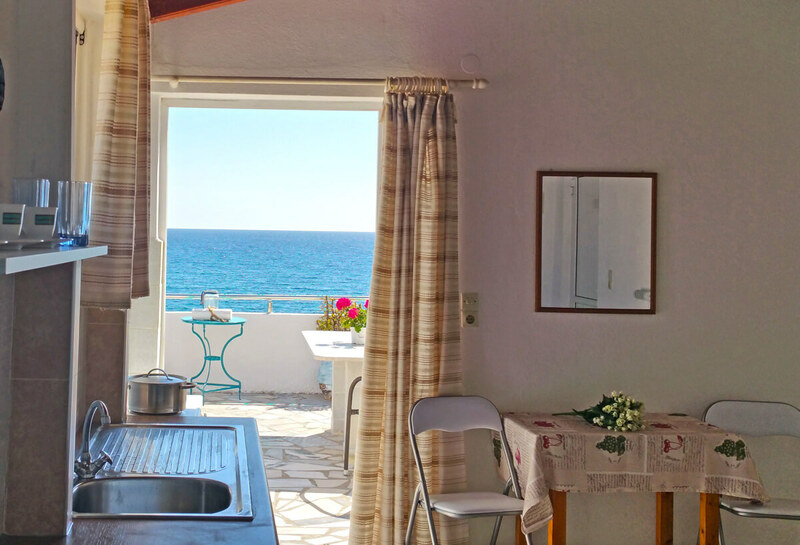 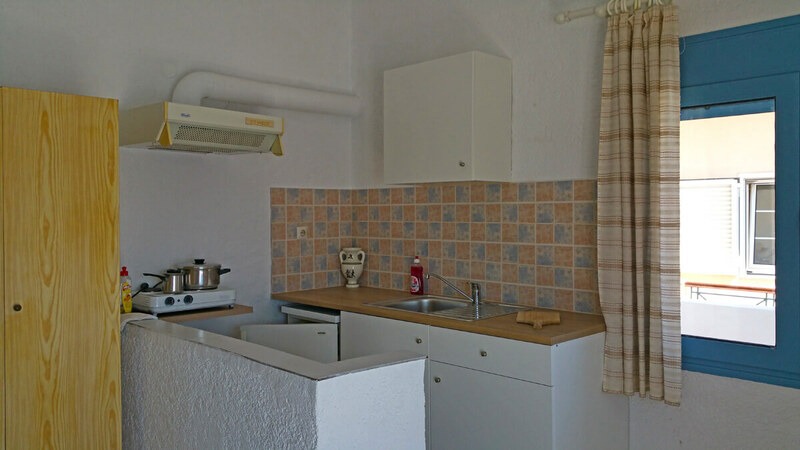 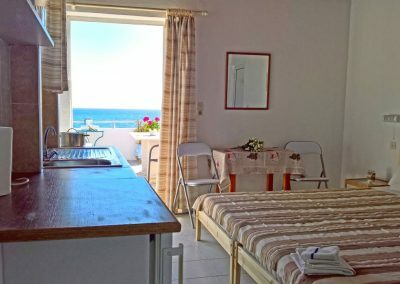 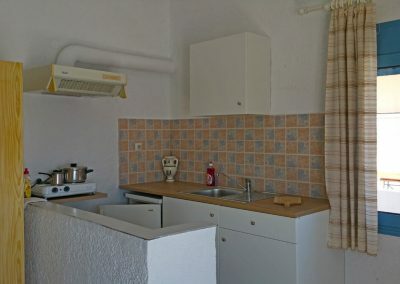 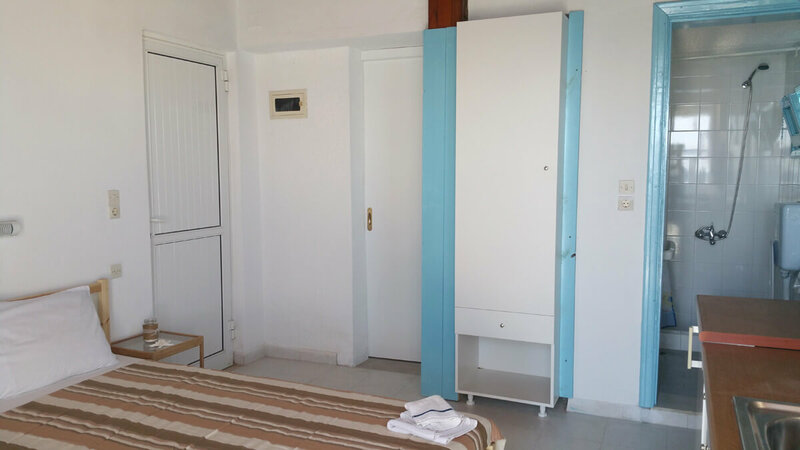 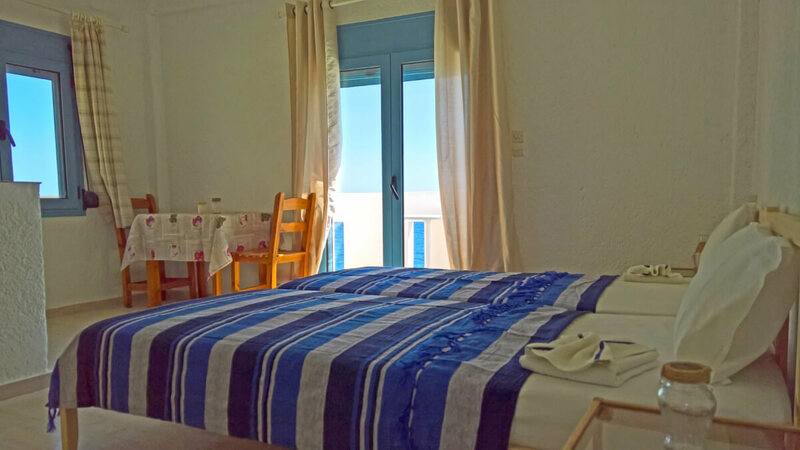 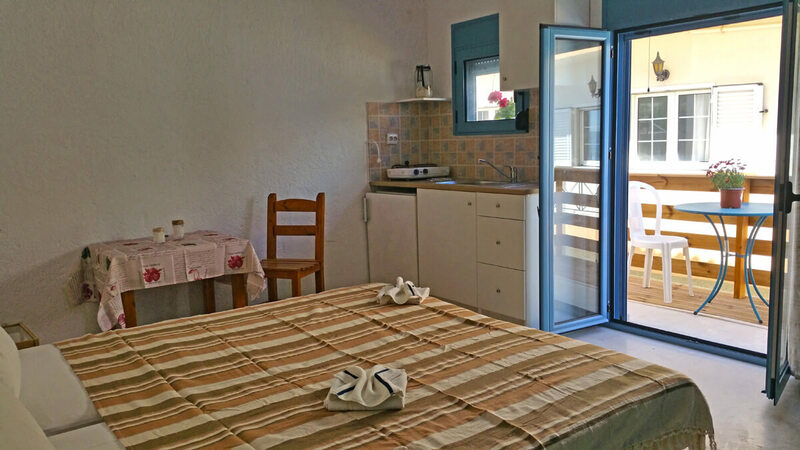 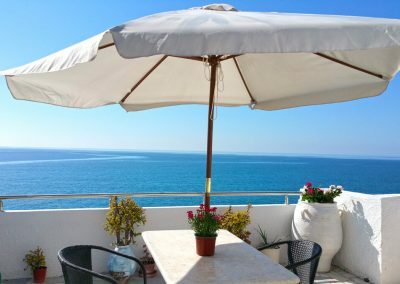 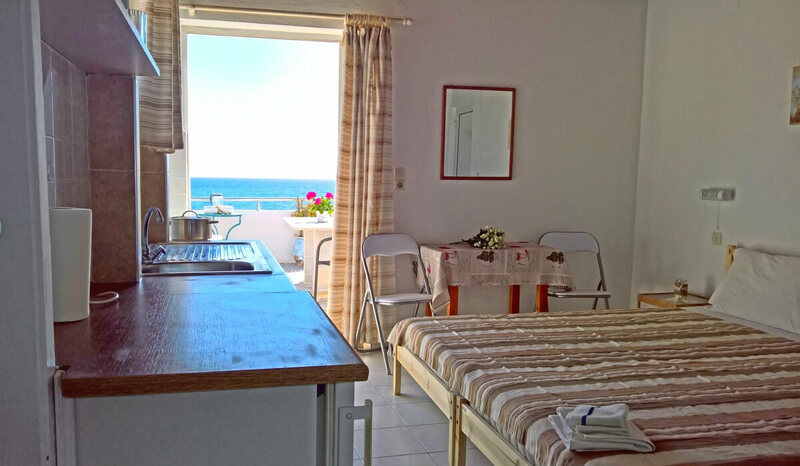 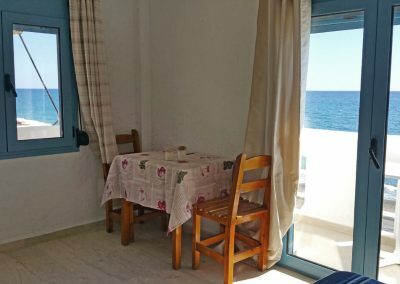 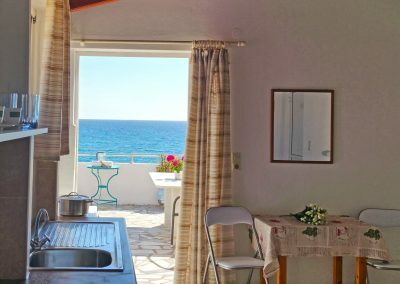 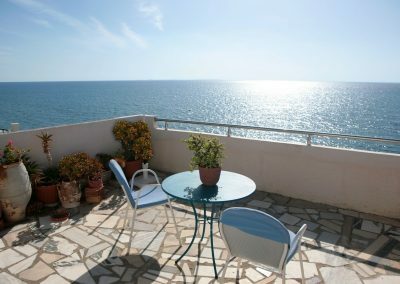 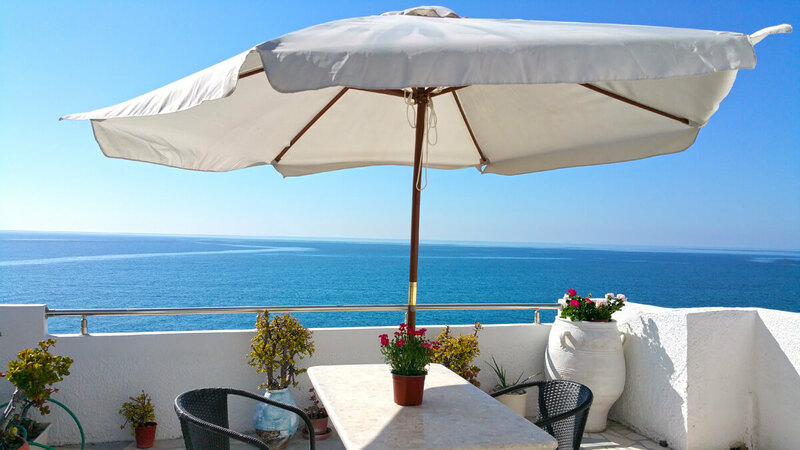 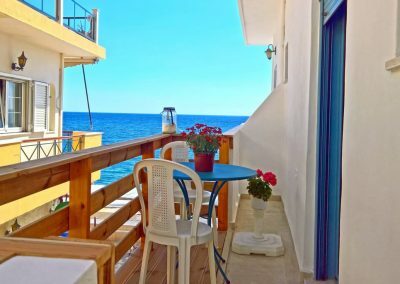 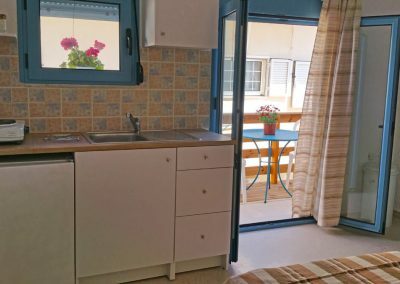 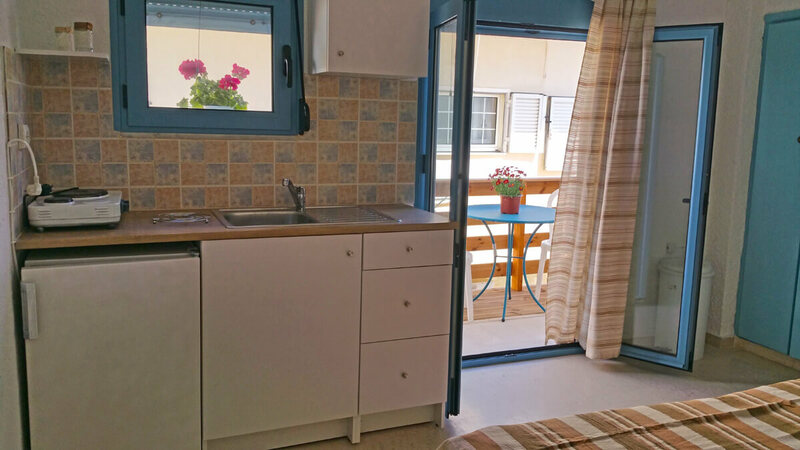 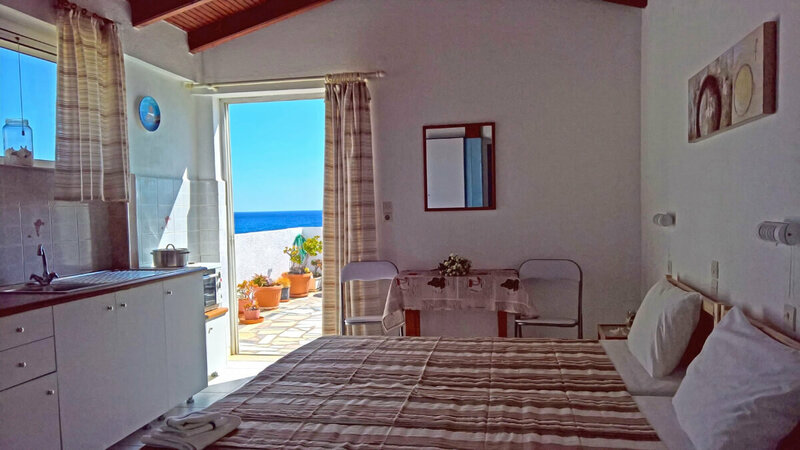 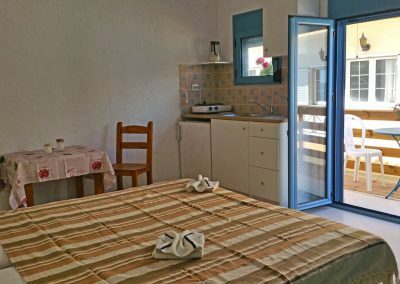 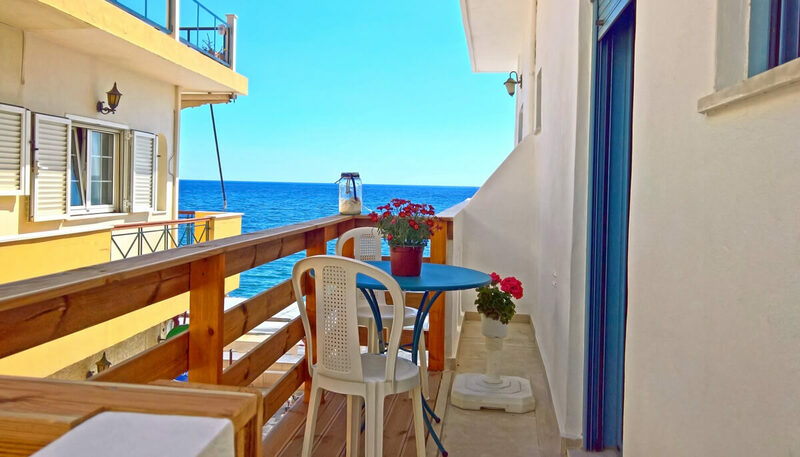 Cozy, renovated studios with complete equipment, partly with direct sea view, partly side sea view. 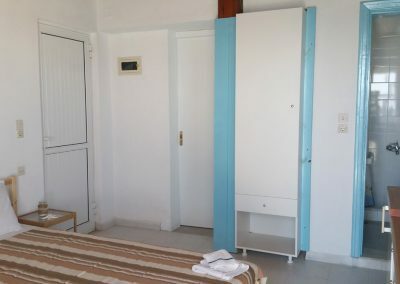 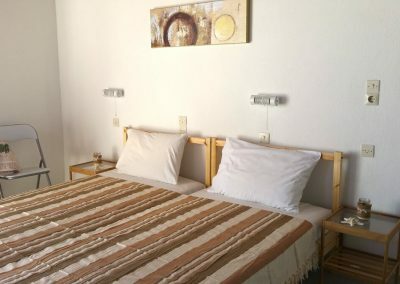 The two studios on the second floor can be rented through a connecting door as a large apartment with two bathrooms for 4 people. 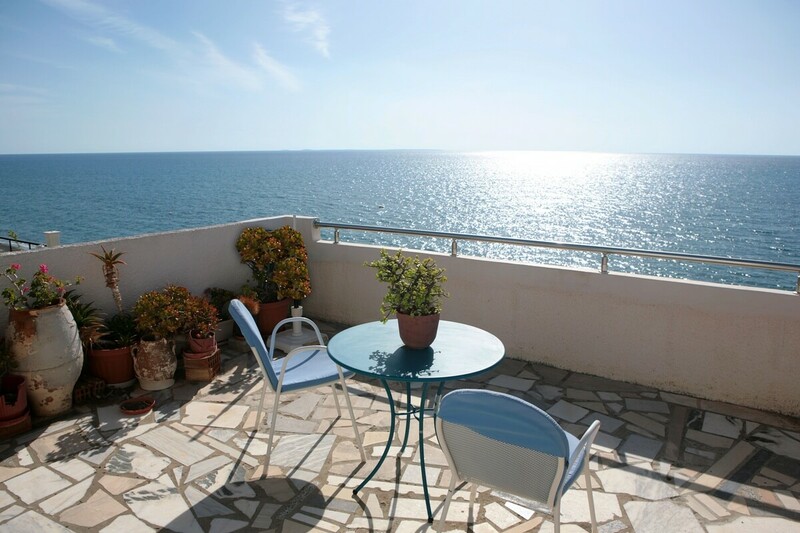 This includes a large terrace with full sea view. 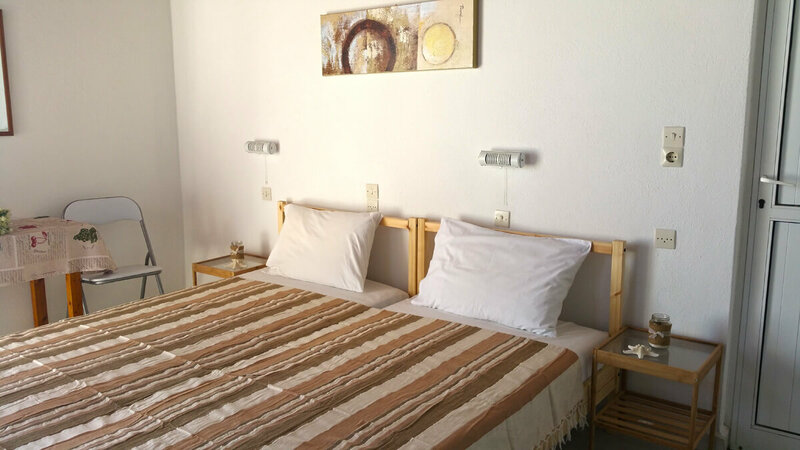 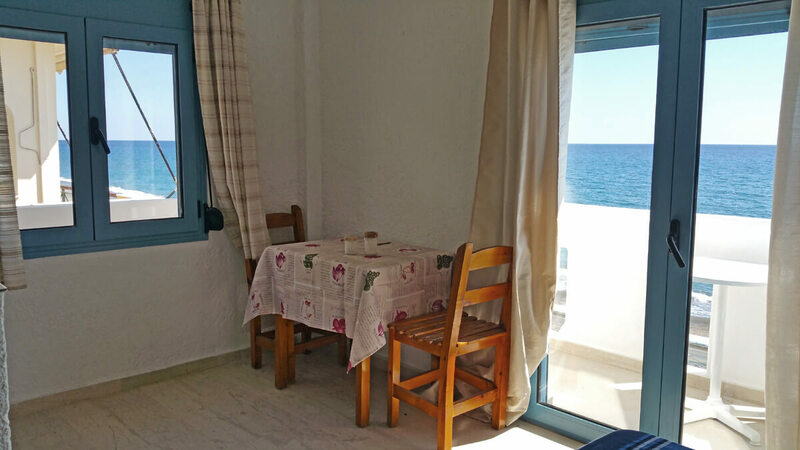 Tavernas and shops are within a few minutes walking distance.